While solar power is becoming a smart investment that will eventually pay for itself, the relatively high cost of installing solar panels on your home can still be pretty off-putting, especially in a struggling economy. Fortunately, some new findings from U.S. scientists suggest prices of solar panels could soon decline dramatically. 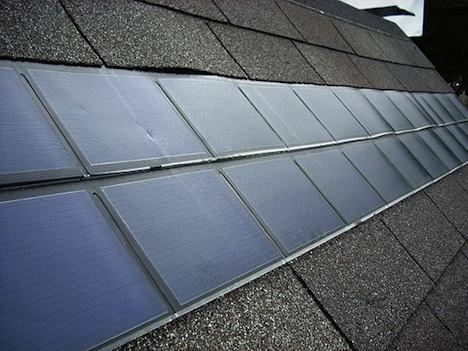 According to a team of researchers at the annual meeting of the American Chemical Society, advances in solar cells and emerging photovoltaic technologies will enable the production of solar roof shingles made from less expensive, more readily available elements, rather than rare earth metals that are costly, and difficult to mine and refine. According to their research, recent advances in solar cells made of metals such as zinc and copper will be capable of producing electricity at much more affordable costs than solar panels made of indium and gallium, two metals commonly used in production. According to physicist Harry A. Atwater of the California Institute of Technology, these could be on the market within 2 decades. At present, China accounts for over 90% of the world’s rare-earth supplies, and with prices going nowhere but up due to increasing demand, companies are on the hunt for new materials to use for a variety of power sources, particularly solar panels. If there is anything keeping people – no matter how environmentally savvy – from investing in solar panels for their home or office, it is undoubtedly the initial cost. More affordable panels made of easily accessible materials is key to a greener economy and environment.